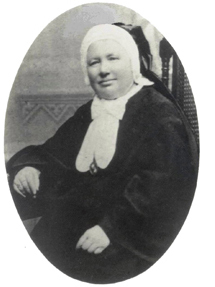 The Congregation of the Daughters of Divine Charity was founded by Mother Franciska Lechner in Vienna, Austria on November 21, 1868. Born in Bavaria, Germany, Franciska felt a strong call to religious life and searched courageously for her place in the Church. For a time, she was a member of the School Sisters of Notre Dame and then, after leaving that congregation she worked with a priest in Switzerland where she founded a hospital and several schools. Mother Franciska still felt called to found a congregation and went alone to Vienna, the capital of Catholic Austria, and applied for permission to organize a women’s congregation. As the congregation grew, Mother Franciska adopted the rule of Saint Augustine for her Sisters. She began her work by opening St. Mary’s homes to provide housing for young women coming into the cities during the European Industrial Revolution. Deeply aware of the conditions of her time, she was determined to protect these innocents from the physical and moral dangers that were rampant in the cities of the 19th century. Within a short time, the Sisters began opening schools in many areas of the Austro-Hungarian empire as well as retirement homes for the poor. Mother Franciska Lechner died in Austria in 1894 and the work that she began continues today through more than 1000 Daughters. We have the honor of calling her “Servant of God” as she is a candidate for beatification, a step to being officially declared a Saint. 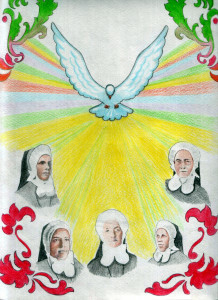 At the present time, the Sisters are working in the following countries: Albania, Austria, Argentina, Bolivia, Bosnia-Herzegovina, Brazil, Croatia, Czech Republic, Ecuador, England, Germany, Haiti, Hungary, Italy, Kosovo, Poland, Slovakia, Switzerland, Uganda, Ukraine and the United States. During the Second World War, or to be more precise in 1941, in Mary’s home at (the) Pale convent lived its superior Sr. Jula Ivanišević (Croatian, 40), Sr. M. Berchmana Leidenix (Austrian, 76), Sr.M. Krizina Bojanc (Slovenian, 56), Sr. M. Antonija Fabjan (Slovenian, 34) and Sr. M. Bernadeta Banja (Hungarian from Croatia, 29). Although they were on good terms with all of their neighbours and Orthodox locals. In late afternoon of December 11, 1941 Chetniks surrounded the convent and made them walk in the direction of Goražde. 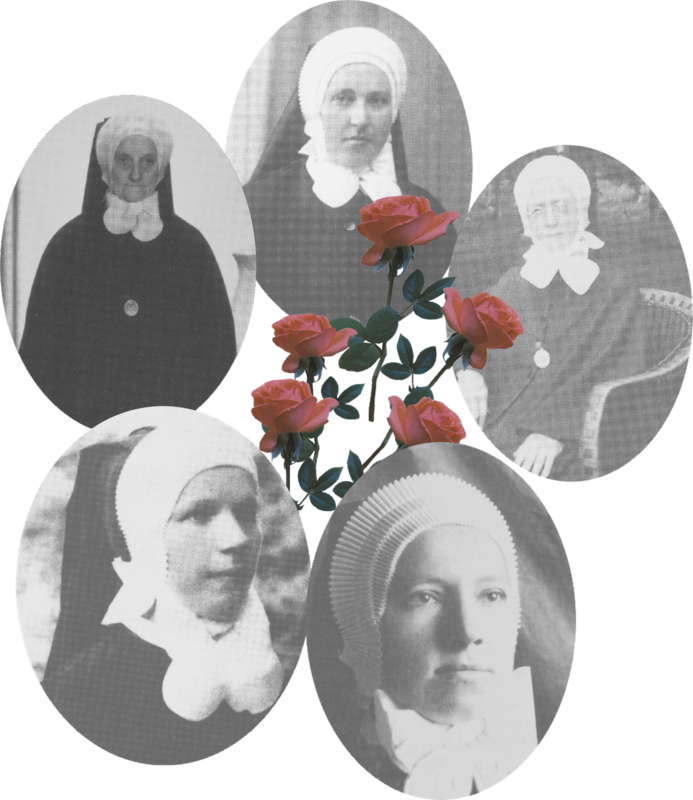 That evening, on December 15, 1941, the Chetniks broke into the sisters’ room and attacked them demanding they leave their consecrated way of life. 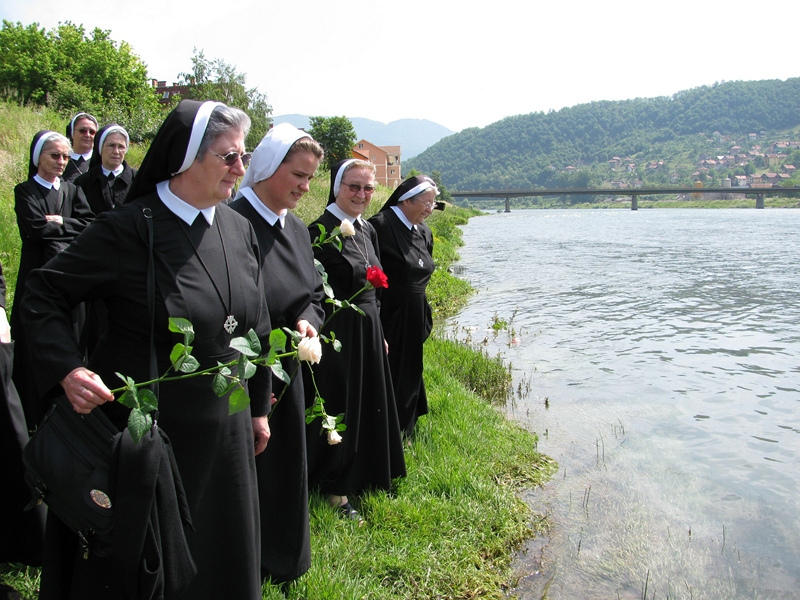 Wanting to defend their dignity and vows of purity, the nurses jumped out of the window, but were soon captured and stabbed to death with knives and thrown into River Drina. Because of their Martyrdom pope Benedict XVI announced, 14 January 2011, promulgation of decrees of the Congregation for the Causes of Saints and beatification followed on 24 September 2011 in Sarajevo (capital of Bosnia and Herzegovina), in the Olympic hall Zetra.